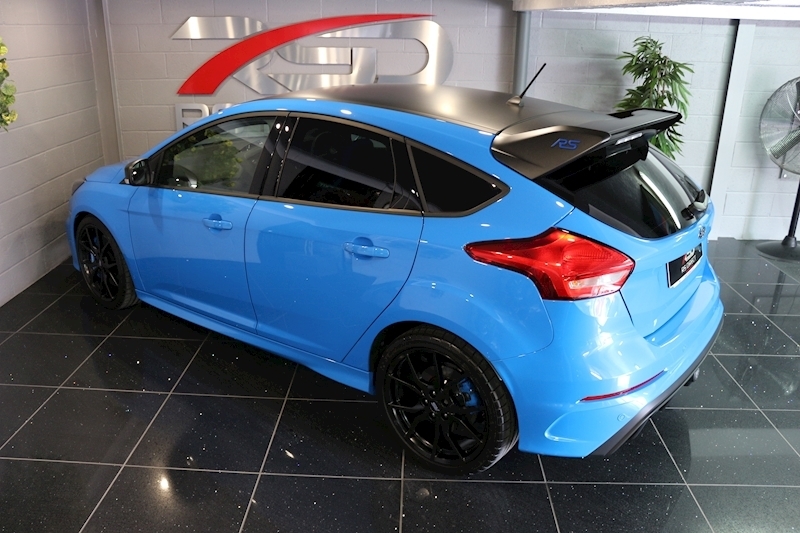 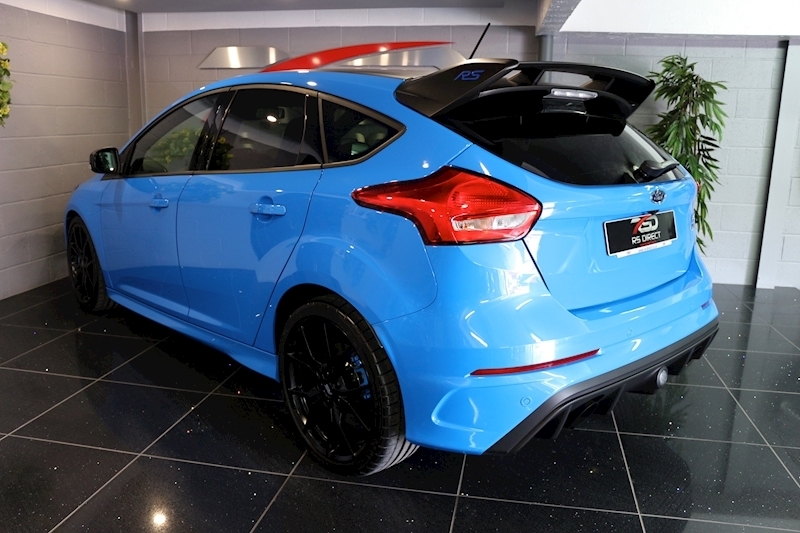 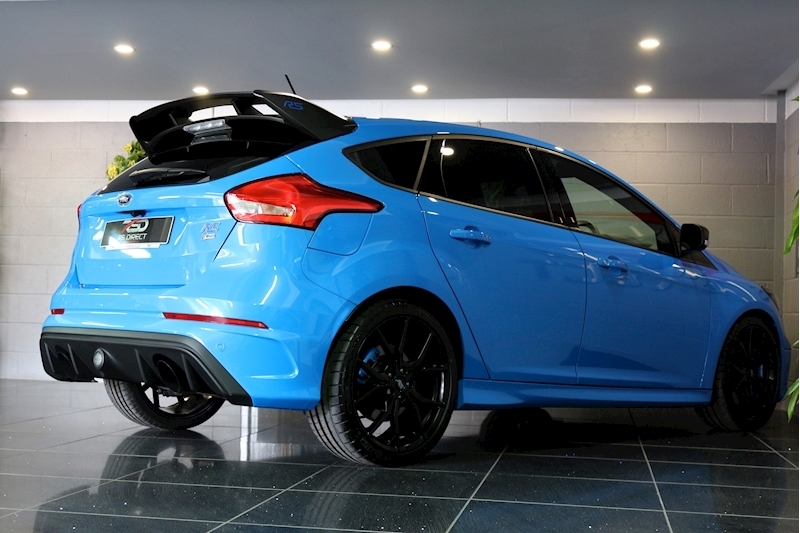 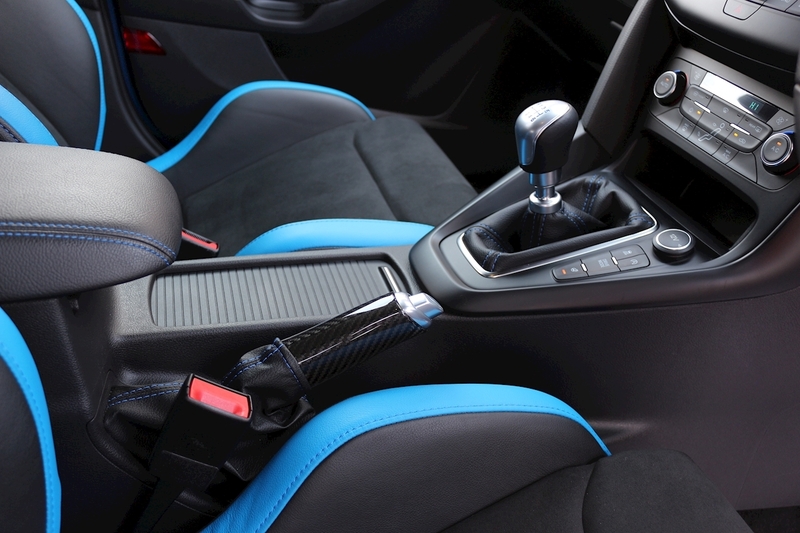 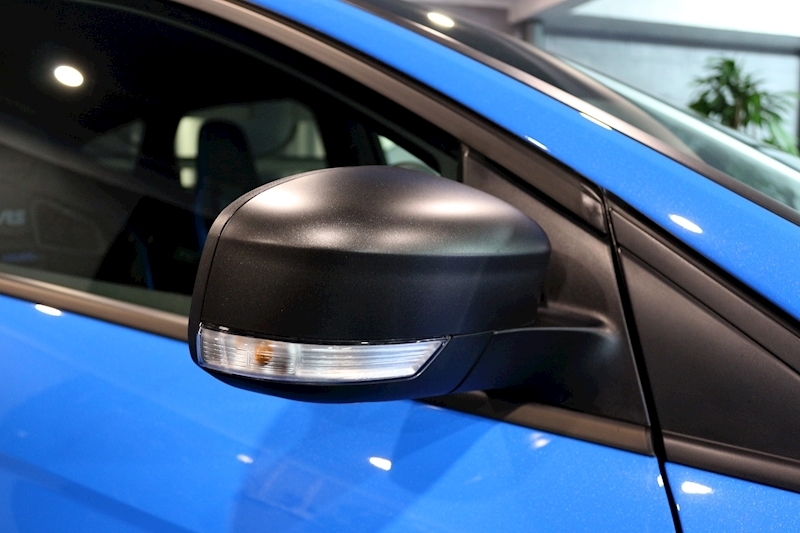 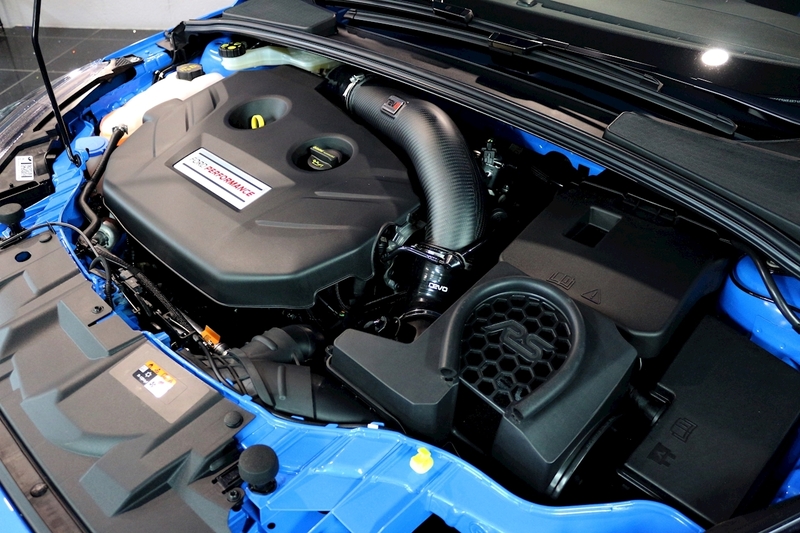 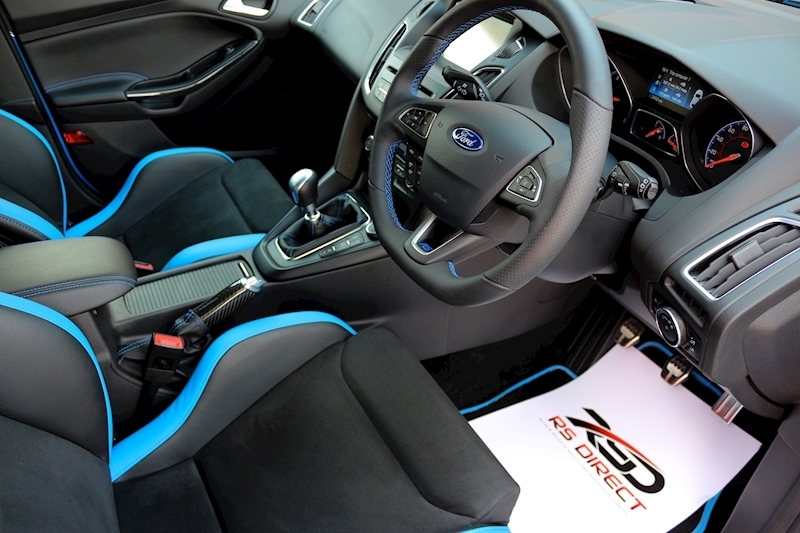 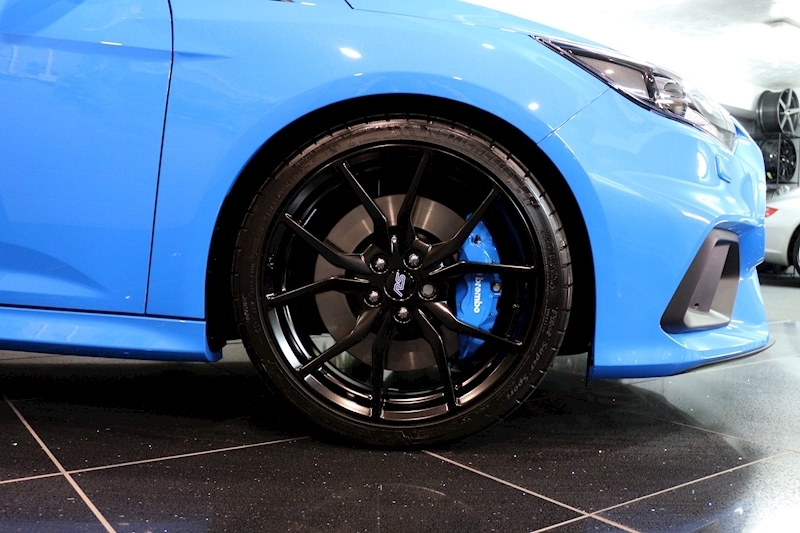 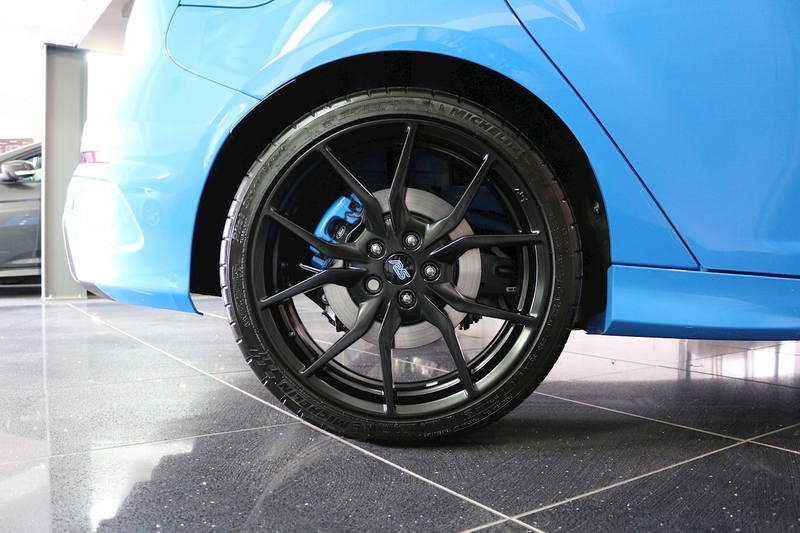 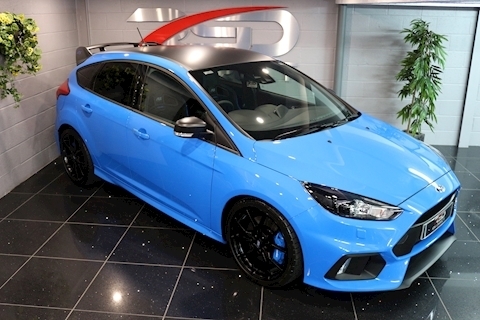 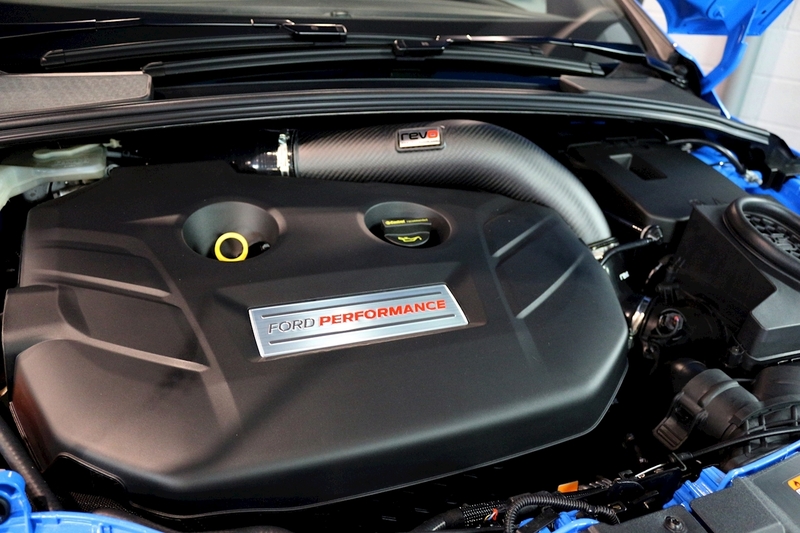 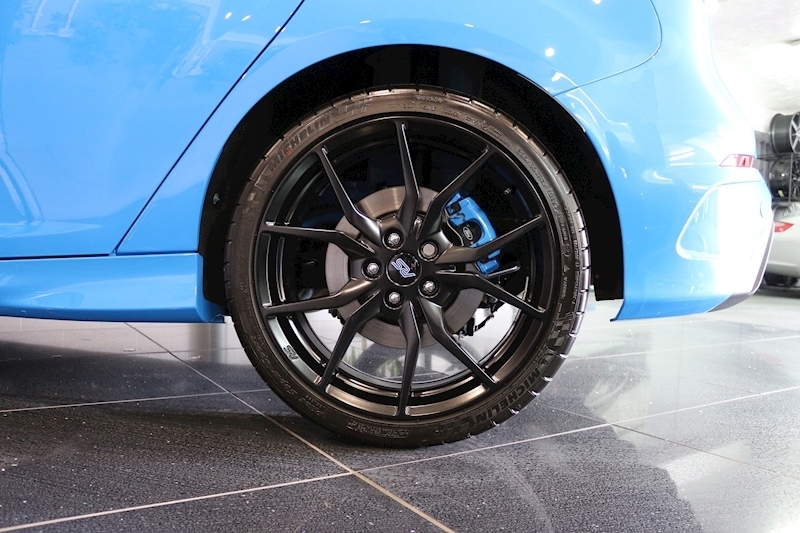 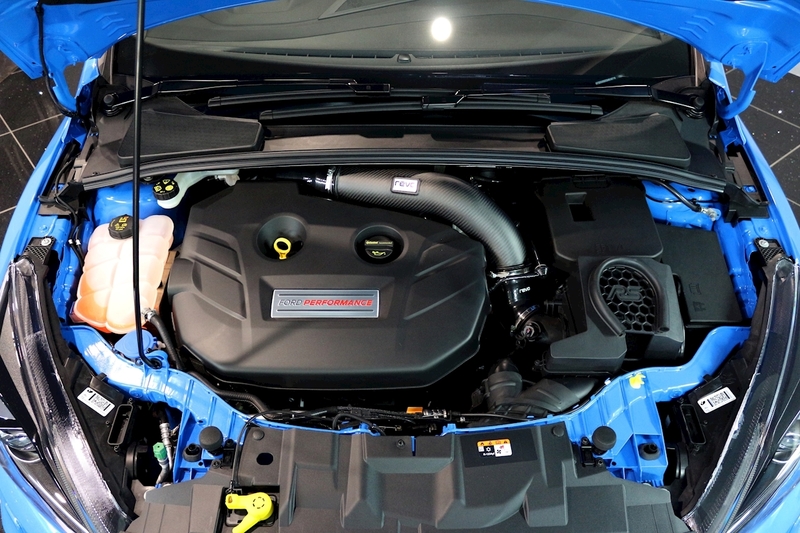 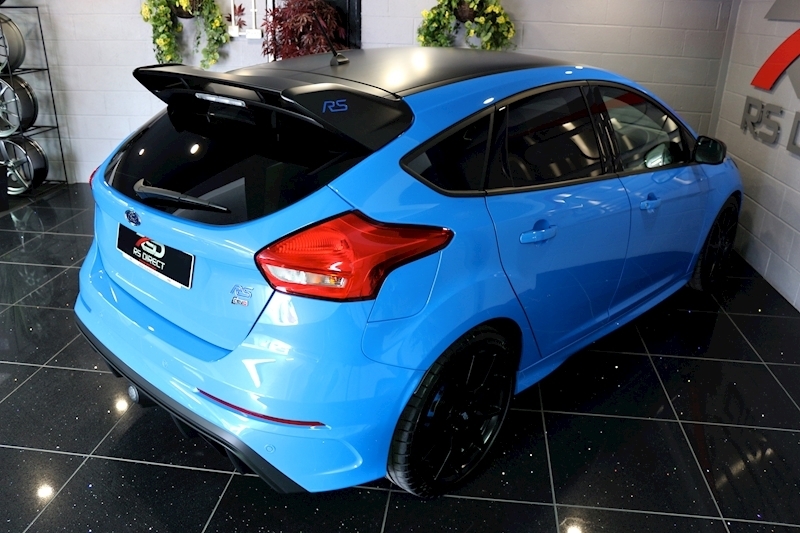 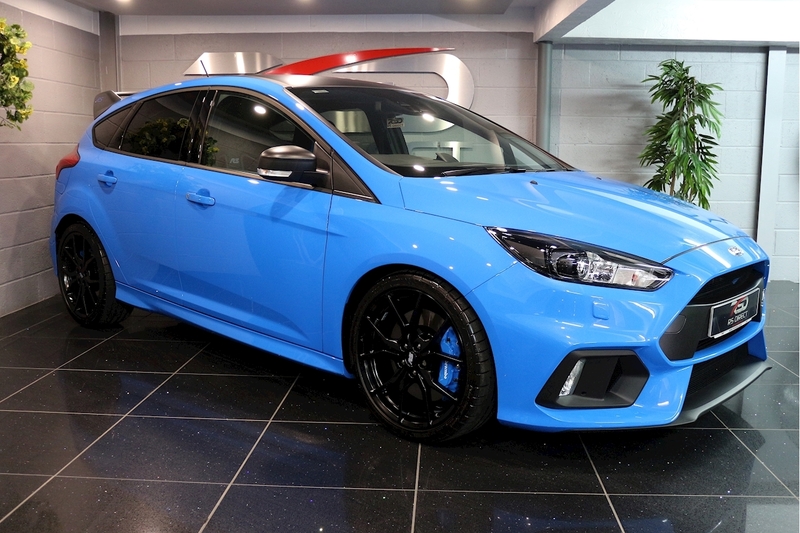 2018 FORD FOCUS 2.3 RS BLUE EDITION REVO PERFORMANCE PACK II. 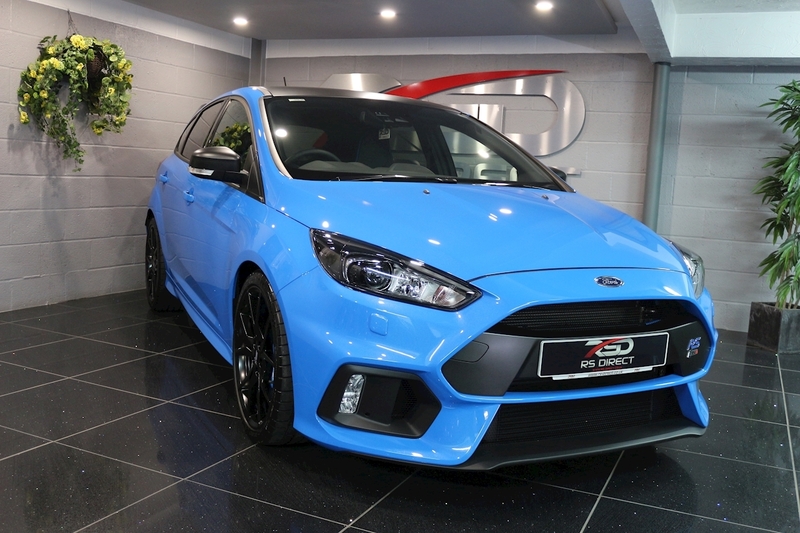 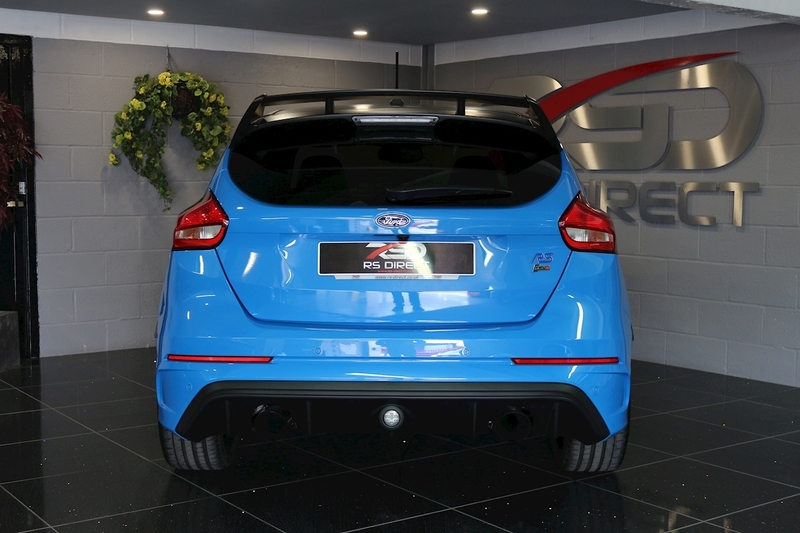 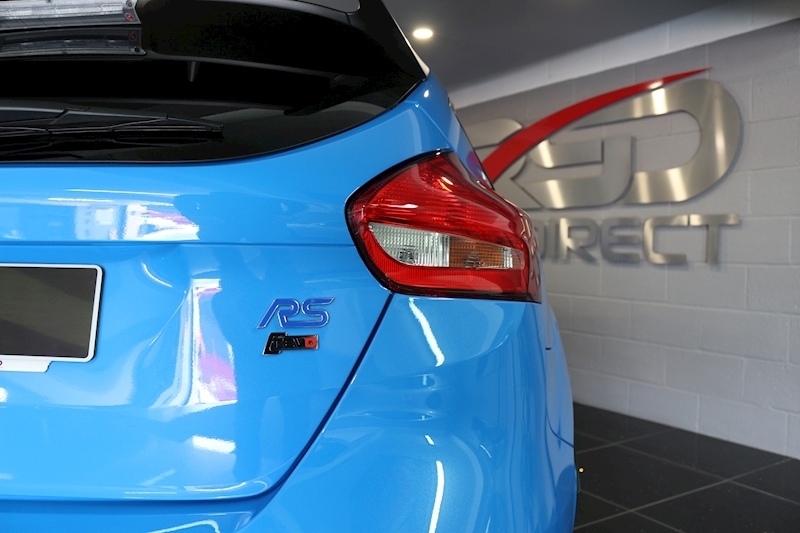 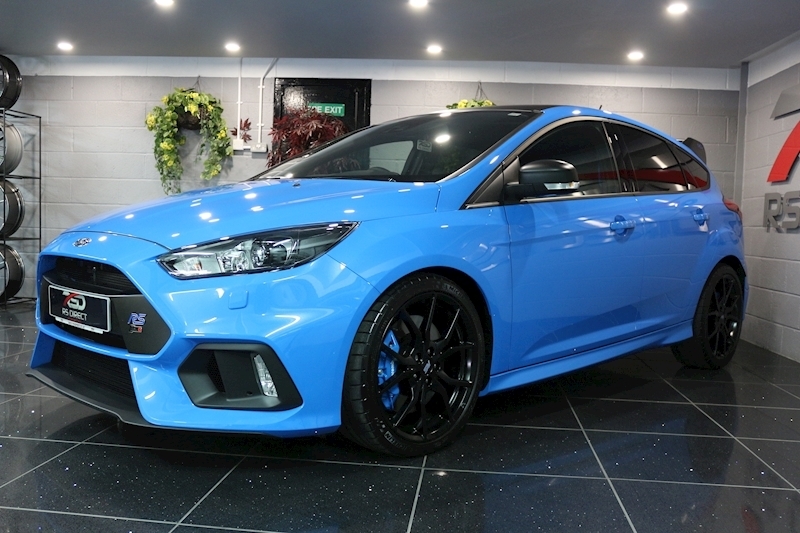 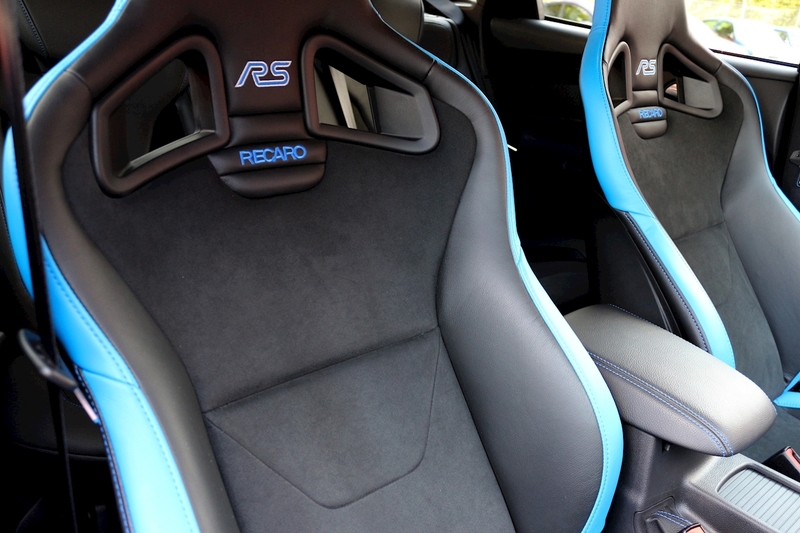 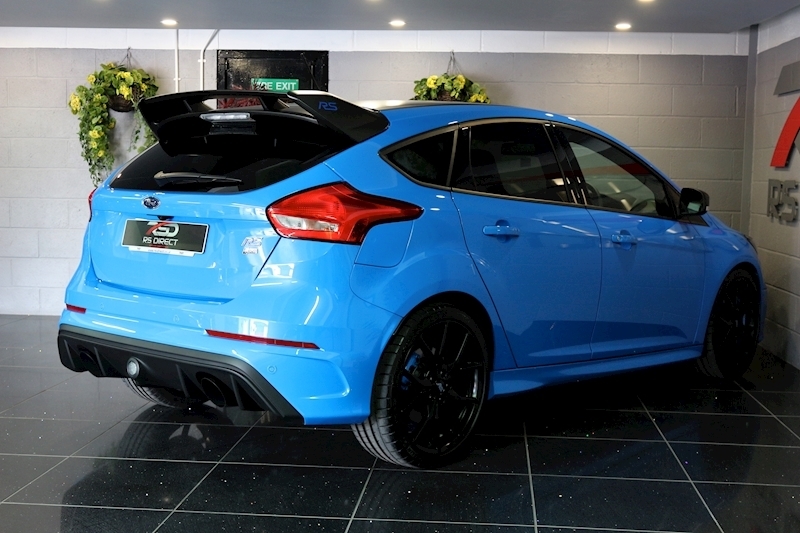 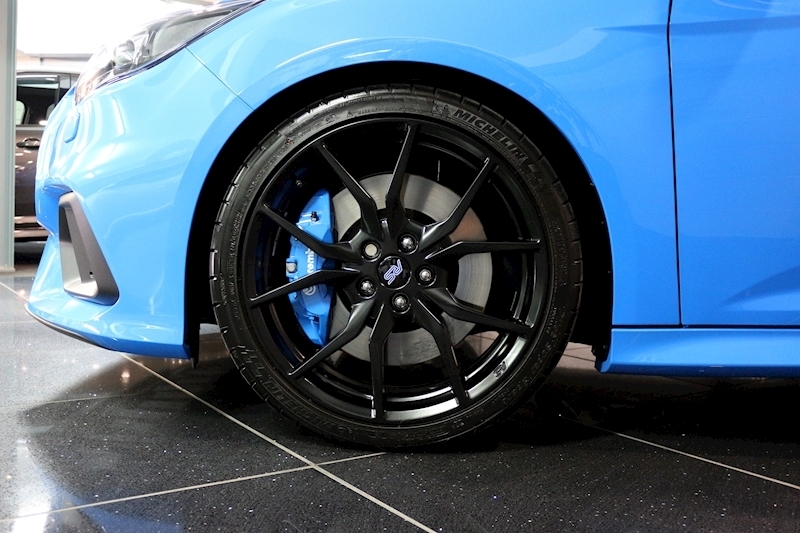 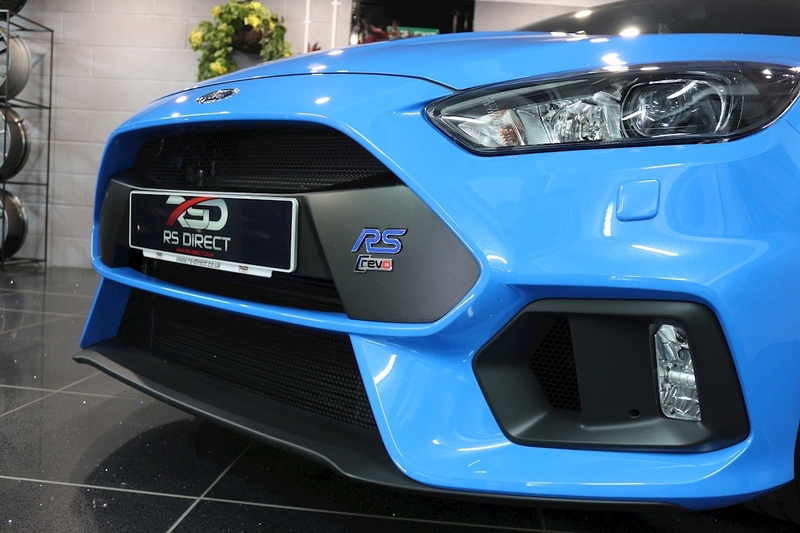 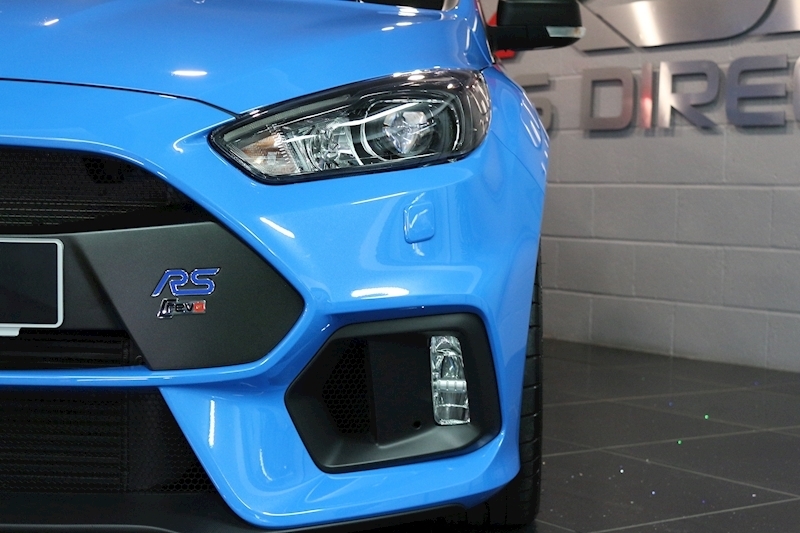 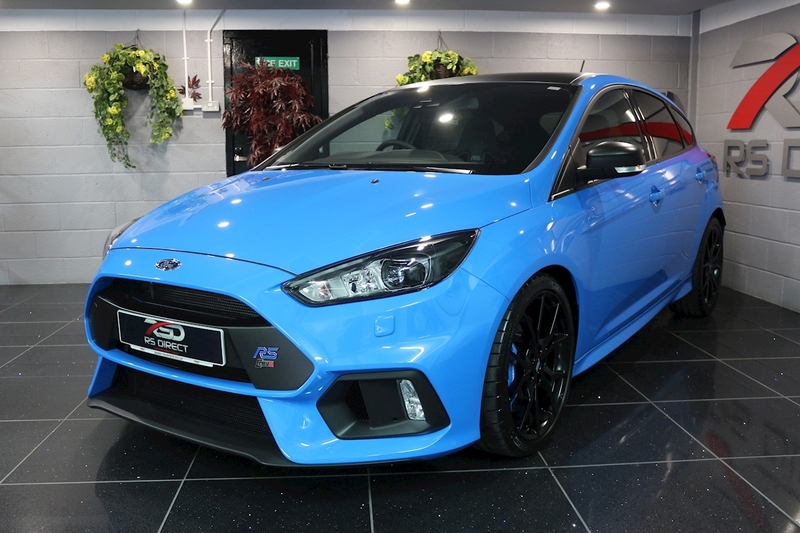 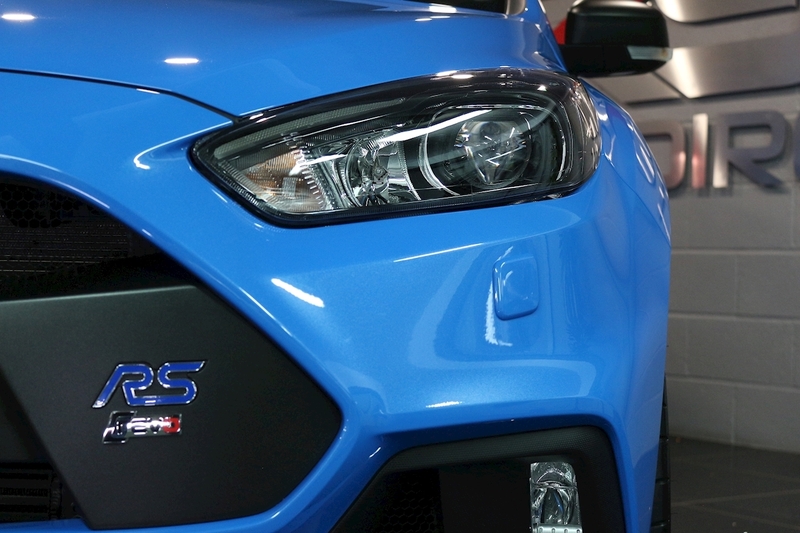 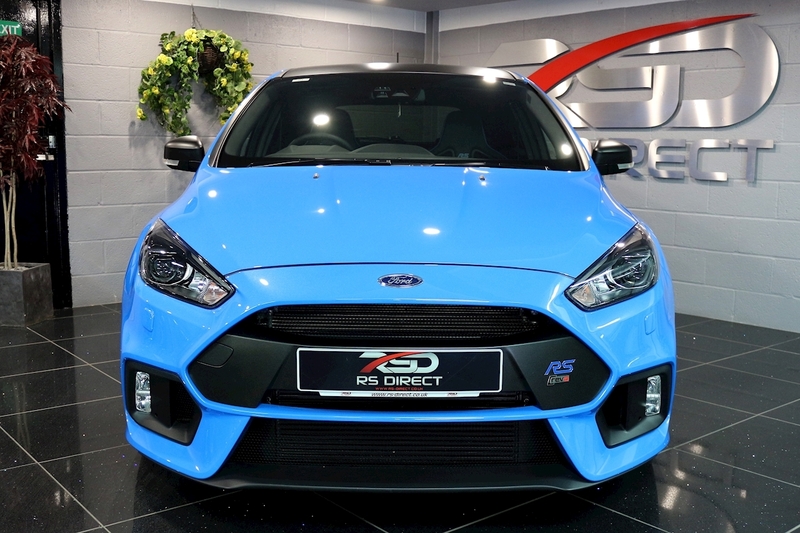 Come And See Why We Sell More RS Models Than Any Other Dealer In The UK. 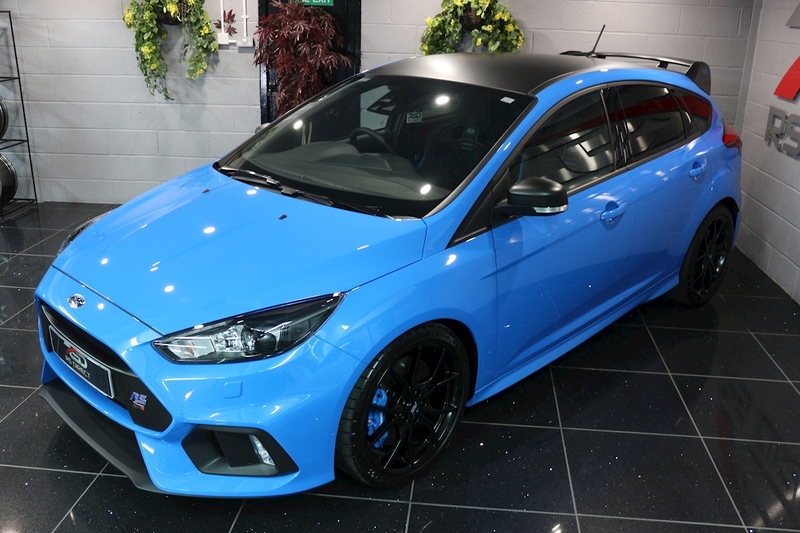 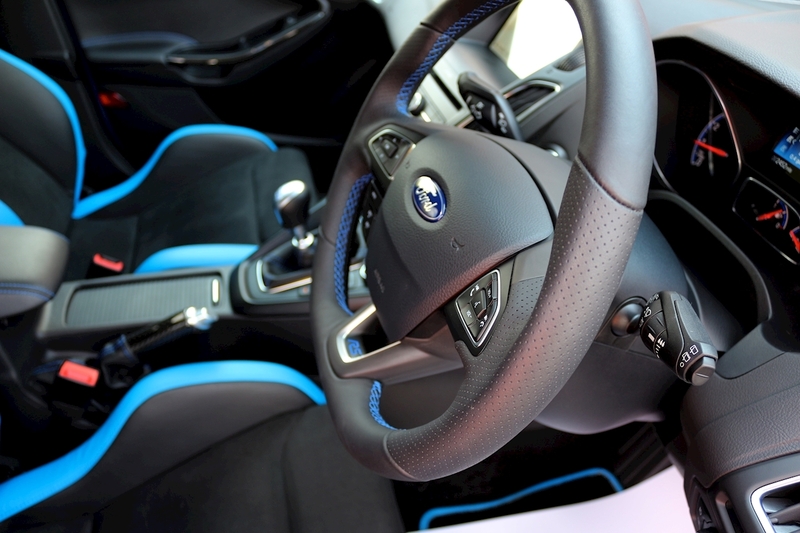 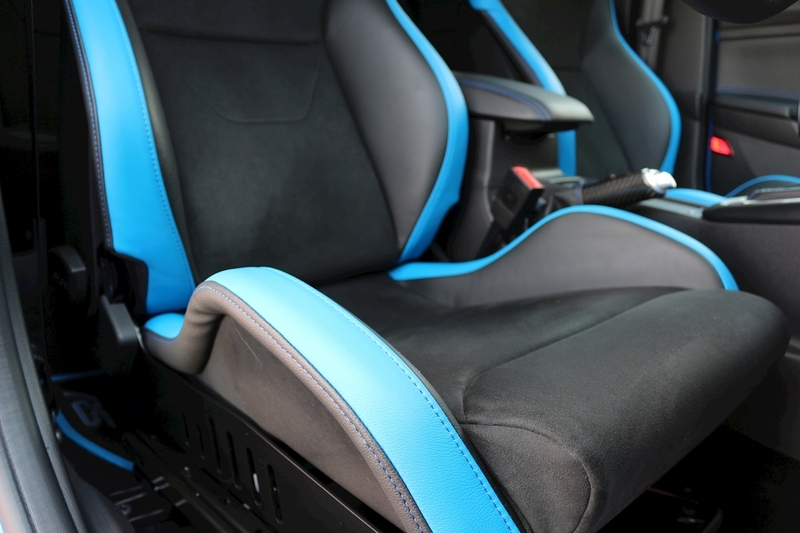 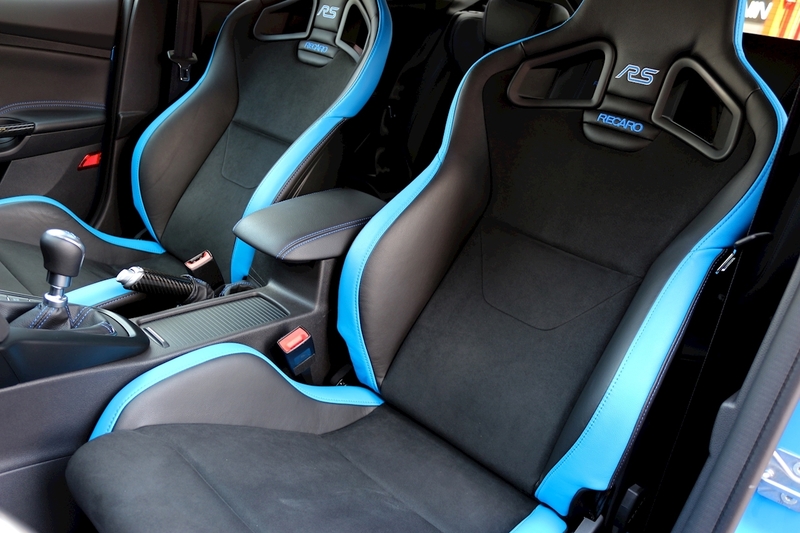 This Blue Edition Model Is Limited To Just 500 In The UK. 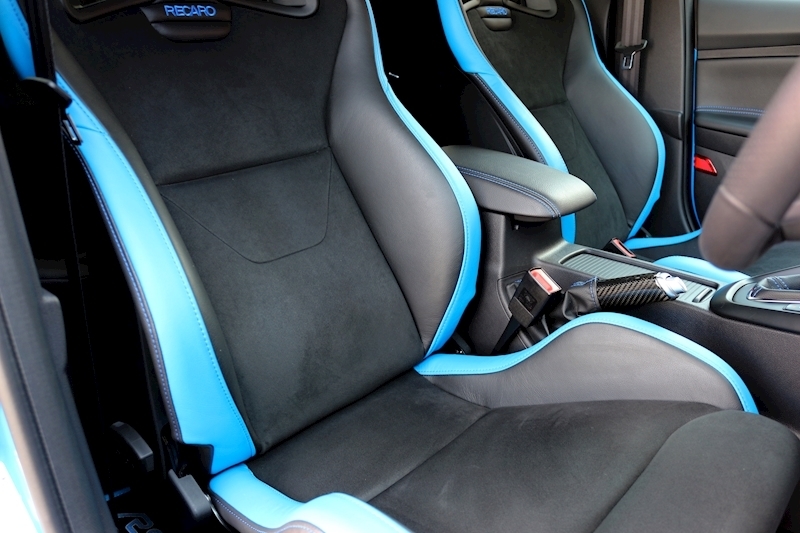 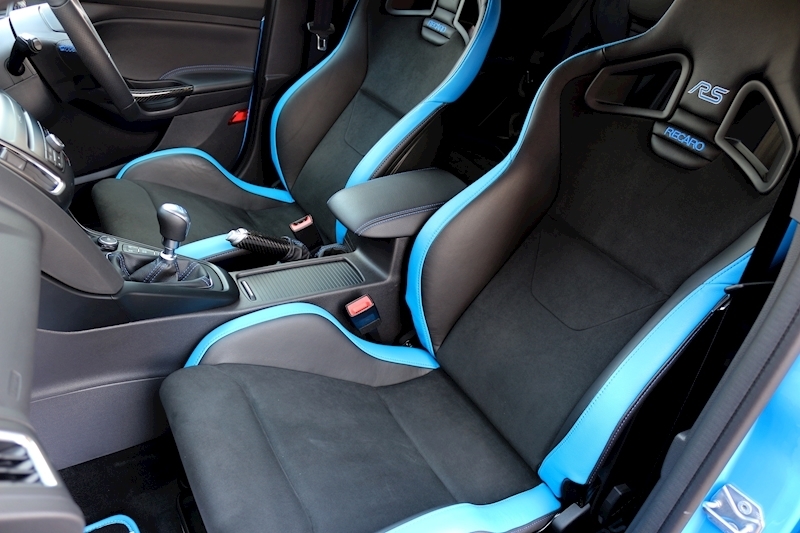 Finished In Exclusive Nitrous Blue Metallic, It Comes With A Foil Factory Roof Wrap, Matt Black Painted Wing Mirrors And Rear Spoiler To Match, Other Extras Include Quaife Limited Slip Differential, Carbon Interior Trim, Premium Ford SYNC3 DAB Navigation System, Apple Carplay, Rear View Camera, Also Includes 10 Premium Sony Speakers Plus Subwoofer, Heated Steering Wheel, Digital Climate Control, CD Player, USB Media Stream, 6 Speed Manual Gearbox, Trip Computer, Other Options Include RS Recaro Dynamica Seats With Blue Edge Trim Unique To This Blue Edition Model, It Also Comes With Luxury Pack, Power Fold Door Mirrors, Ford Keyfree System, Cruise Control With Speed Limiter, Rear Parking Sensors, Privacy Glass, Quickclear Heated Windscreen, Upgraded 19inch Forged RS Alloy Wheels, Brembo Brakes Finished In Blue. 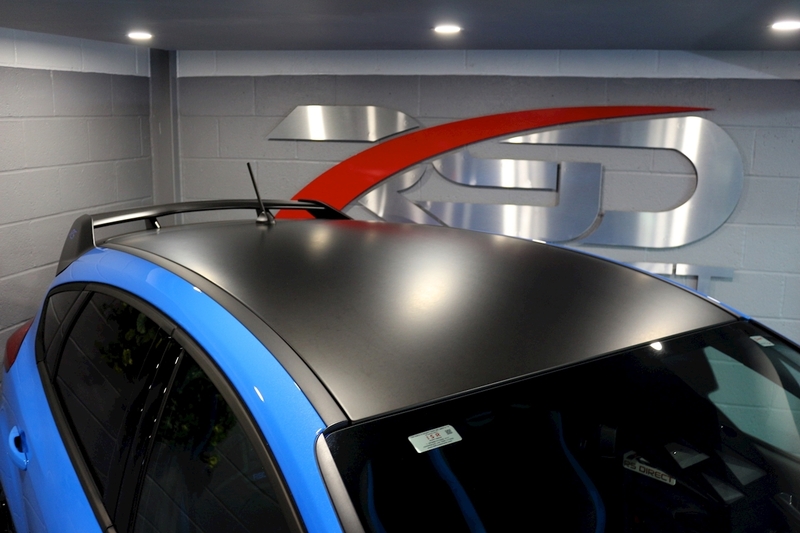 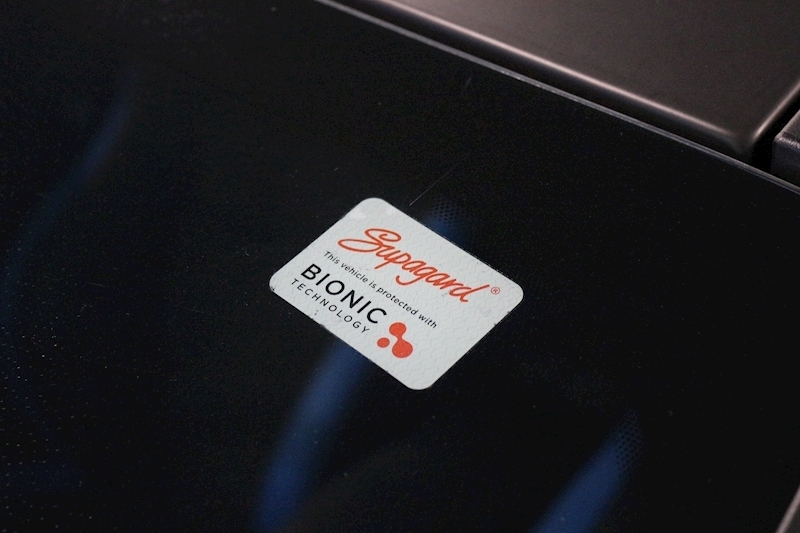 Supaguard Paint Protection From New. 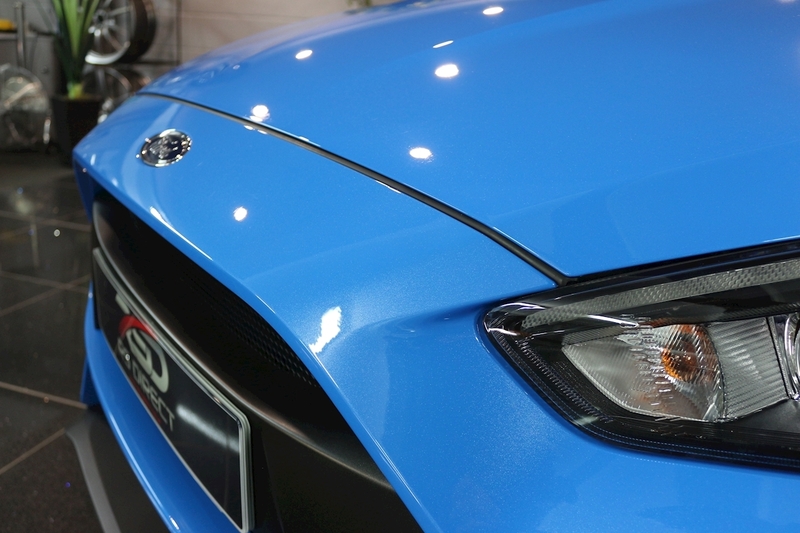 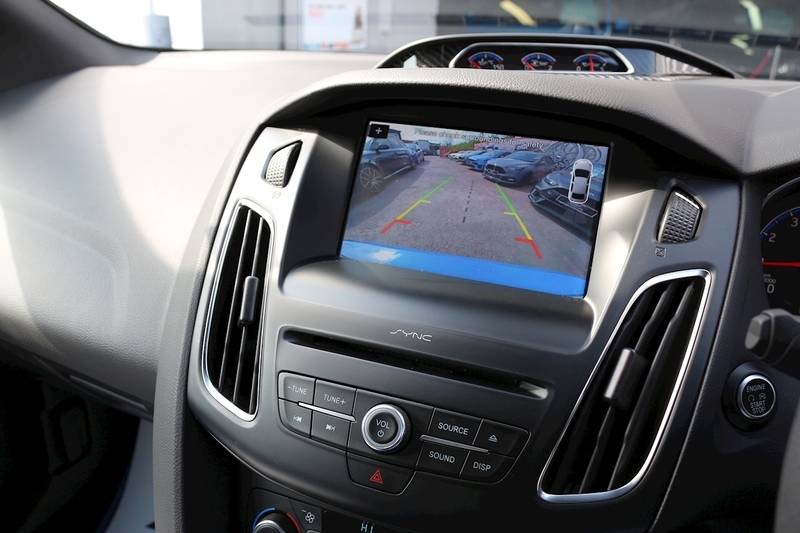 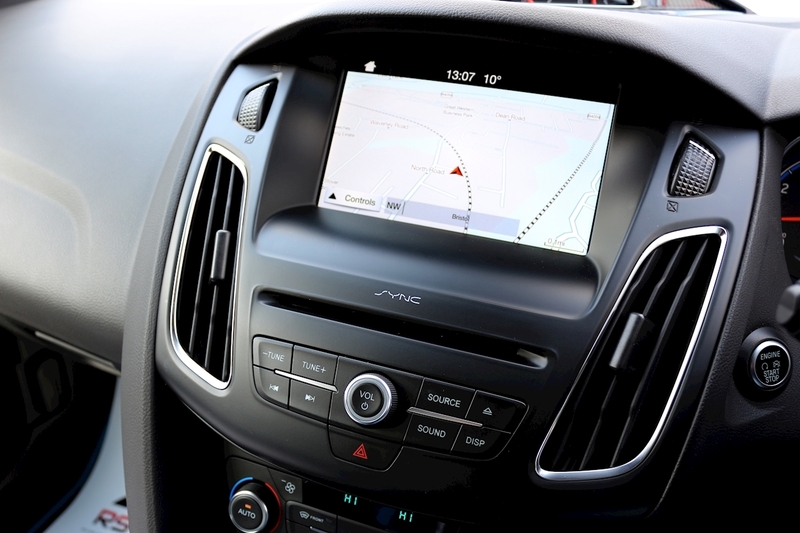 Balance Of Ford Warranty March 2021 (Excluding Modifications). 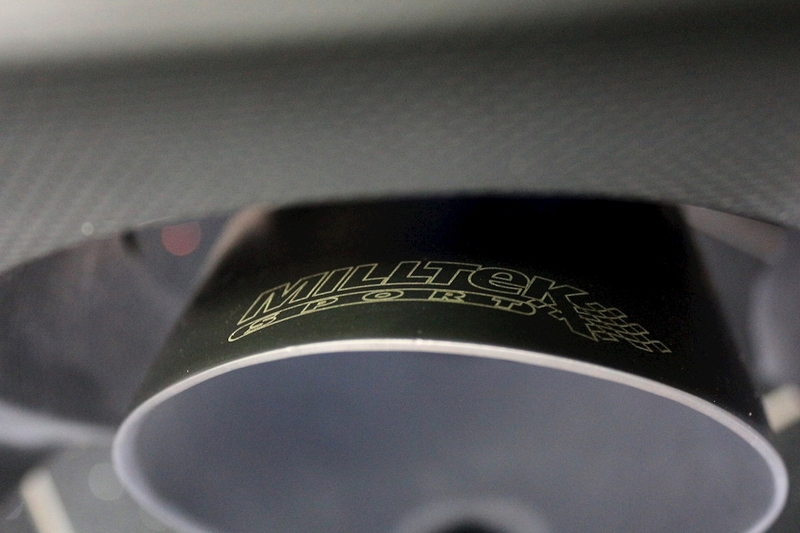 Cat 6 Global Telemetrics Tracker. 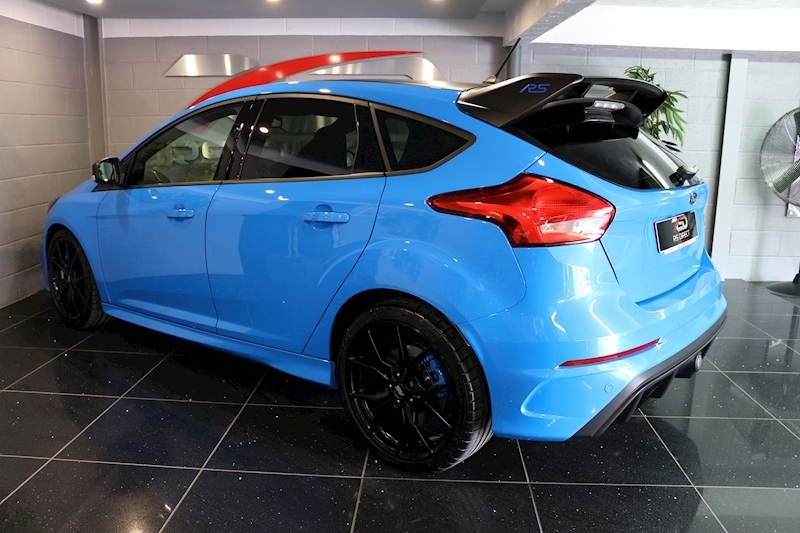 Lower Tax Bracket Just £140 For 12 Months. 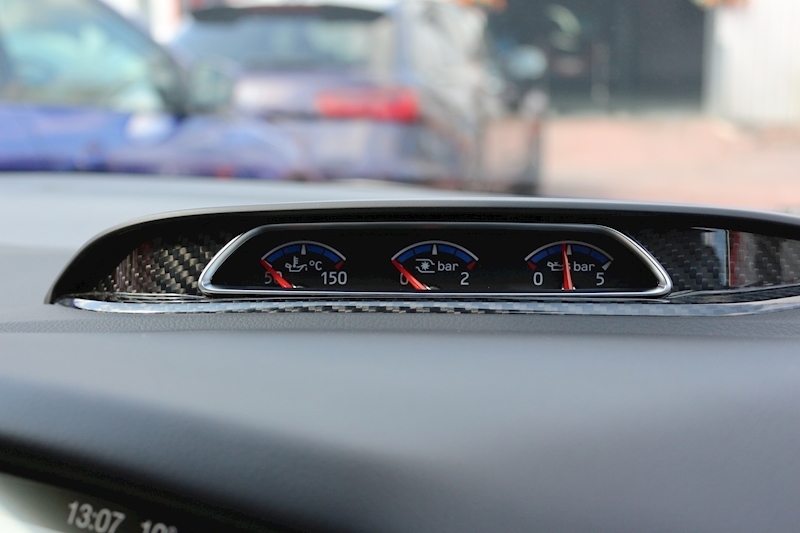 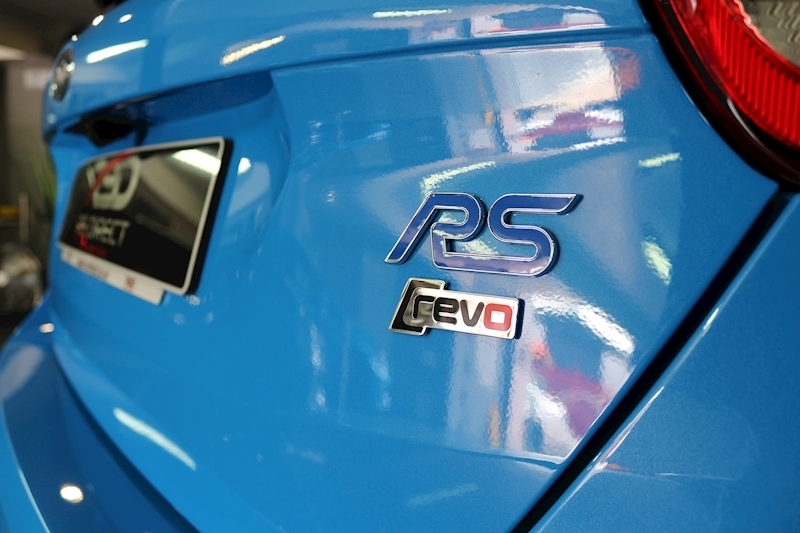 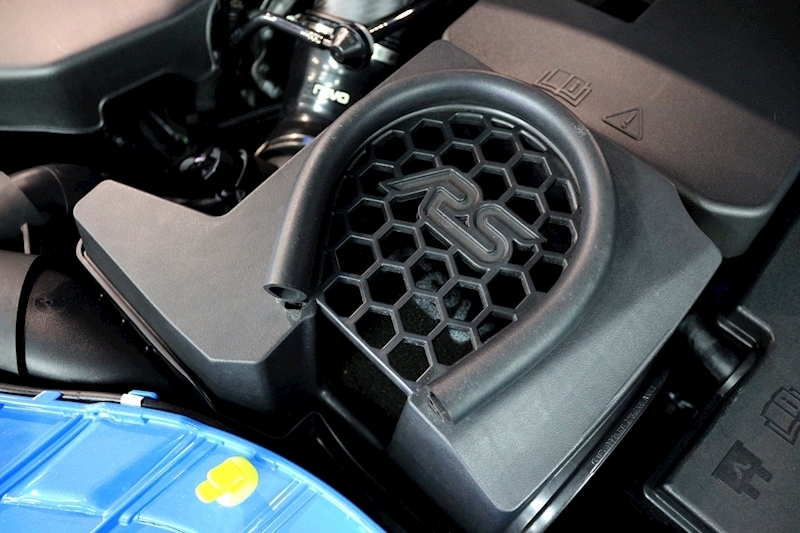 Revo Stage II Performance Pack. 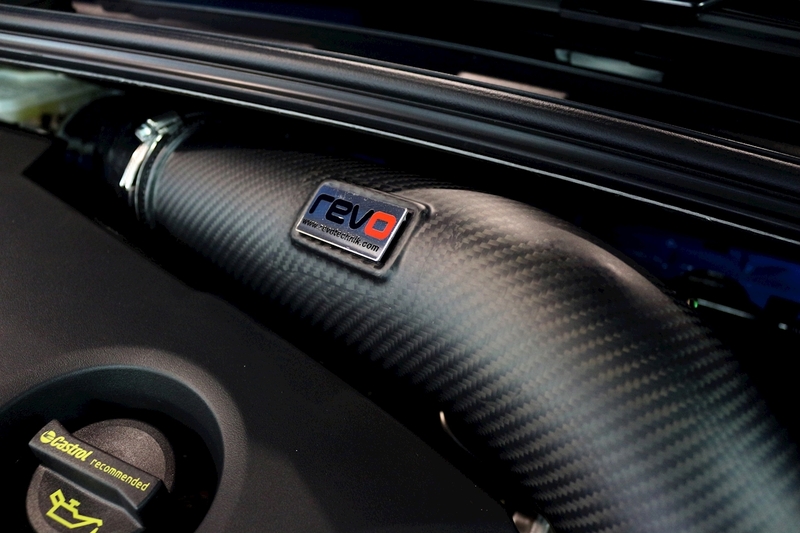 Revo Intercooler, Revo Induction, Milltek Exhaust With Sports Cat And Black Tips.